Create your very own kingdom with all these medieval models. You can get two empire style buildings, a church, a city wall complete with walls, towers and gates and a hexagonal castle. The paper model above is called the HMVS Cerberus from 1871. It is in 1:250 scale and is about 11 inches long when finished. You can also download two 19th century ships, an old lighthouse, a pier and some tiny sailor models. Only Epson and Canon used to offer lots of beautiful papercrafts. Now, HP has finally entered the world of paper modeling with probably their first papercraft model from the movie Shrek the Third. Download and build the gatehouse, the palace and the walls then put them together. This is a model that your kids will surely love. You are being left behind if you still don't have one of the next generation consoles(Nintendo Wii, Xbox 360 and PS3). It's sad to say but I'm one of those. Well, at least I can build these on paper. 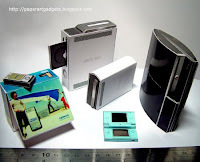 You can download 2 versions of Xbox and 2 Nintendo DS Lite miniature papercrafts. The PS3 and hopefully the Nintendo Wii will be out soon. Four cool robot models available for download. Check 'em out guys! 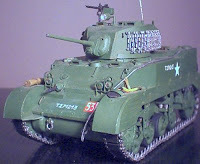 This is one of the most complicated tank models I have seen. There are 9 pages of parts in total that include hundreds of tiny parts. Highly detailed for a free model however, a lot of people might find this too difficult to build due to the limited instructions. If you think you're up for the challenge then I suggest you check it out! GR-6 Robot out today! 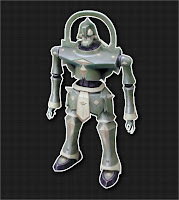 This is the fifth Giant Robo card model released from the site. 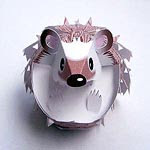 Get two versions of porcupine paper models. Not only that, you also get a flying squirrel papercraft. 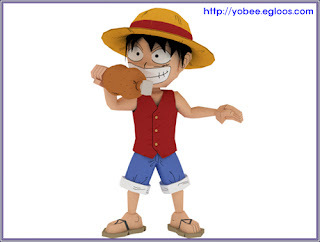 Here is a very cool papermodel of Monkey D Luffy from my favorite anime series One Piece. This model is very simple with only two pages of parts. You're gonna need those tweezers as there are very small parts included. I wish he'd also design the other characters like Chopper. If I'm not mistaken, this model will be available until May 11 only so hurry up and download! 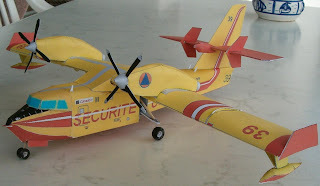 A 1:72 Bombardier Canadair CL-415 used for firefighting in France. There's a professional baseball team in Japan called Chunichi Dragons and they have tons of paper models for their fans. 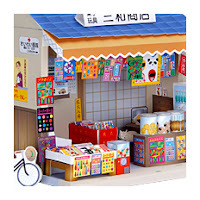 They have papercraft models for different occasions like valentine's, christmas', father and mother's day, etc. You can also make a collection out of the many dragon's mascot papercrafts. Now, don't you think it would be nice if the teams of the Major League Baseball would also offer paper models for their fans? I went to check the Sanwa supply site to check if they have something new. They have 2 new papermodels on the doll house section. They posted a store and a fish shop. 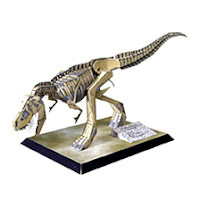 You might also want to check their other models like the dinosaur skeleton, animals, insects, sushi, the adorable dog houses and more. 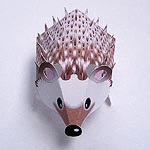 This site has been out long before I started doing papercrafts though I never really got the chance to check it out. Available on the free download section are a snap-up squid and an origami envelope. 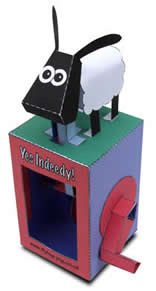 Let's not forget the best model that this site has to offer, the Agreeable Sheep. Watch the head of the sheep move up and down with the turn of the handle. 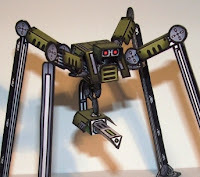 There are also lots of other paper automata models that you can purchase at very affordable prices.